Super fun and cute to collect and play with. These tiny kitties are fuzzy intexture (flocked) and have great detail. The eyes are exceptionally detailed.Many types of cats are represented. Each blind bag has a stamped code. Eachkitty averages 1-" long by "-1" wide. They are proportional to each otherand some may be smaller or larger. Series 1 just released. There will beSeries 1-4 so far. Blind bag fun. 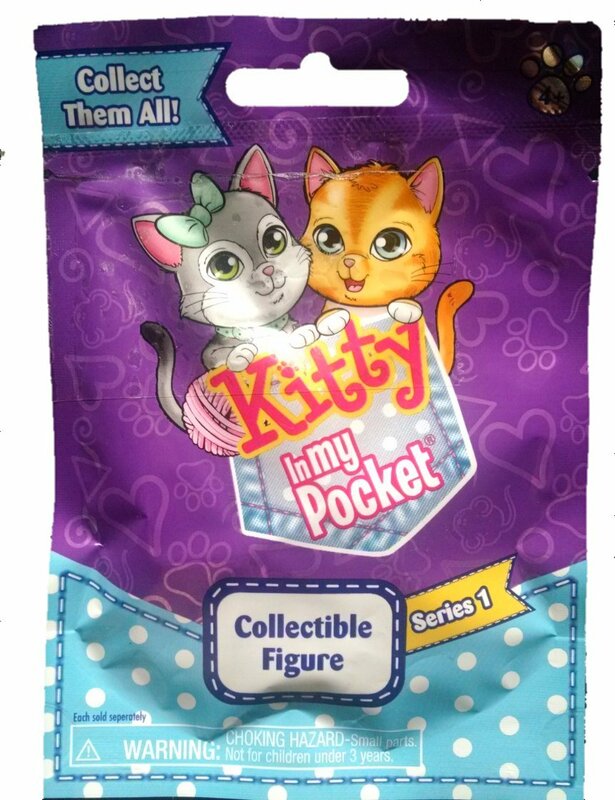 Buy one and see if you'll like to collectthe NEW Kitty in My Pocket figures. See if you can find your favorite kitty ora Halloween kitty!!! !